It is common for children who have been adopted (in particular at an older age and through International Adoption) to display a developmental age different from their chronological age. A child’s chronological age is their age based on their date of birth. Their developmental age is the age at which they function emotionally, physically, cognitively and socially. A child may be five years old at the time of adoption, but developmentally they may display behaviors that make them seem much younger. Understanding that there is often a difference between a child’s chronological and developmental age will help caregivers to have more realistic expectations for the child. You might wonder why a child may function at a lower developmental age than their chronological age. A child’s health as well as the environment around them can play a role in their development. Often children who are adopted may have had experiences in life, which have impacted their ability to reach developmental milestones. Whether it is the cultural child-rearing practices they were exposed to prior to adoption, a traumatic even which interrupted their psychological stages of development, or lack of stimulation, which has delayed their development-there are many factors, which can impact differences in milestone achievement. Even after placement a child may show regression or might not show much progress in development as they transition and adjust to their new life. Certain special needs also can impact a child’s developmental progress. Let’s take a quick look at Suzy. Suzy is 6 years old, adopted from Bulgaria 5 months ago. Chronologically, she is old enough for kindergarten, however she has no reading skills and her English language skills are that of a 3-year-old native English speaker. She has picked up on many words in the last five months, but typically speaks just 2 to 3 word fragmented sentences and there are many times she has difficult expressing herself, which is frustrating for her and often ends in a tantrum. Growing up in an orphanage, Suzy spent a lot of time in a crib with little stimulation. Her muscle tone is poor, so she tires easily and does not have the stamina or coordination as her same age peers. She is impulsive and has difficulty reading the social cues of other children; so often she engages in solidarity or parallel play. Suzy tends to be exploratory with toys, she takes them apart, puts them back together, pulls out, puts in and flutters from activity to activity. She is playing more like a toddler than a six year old who might be able to stay focused longer and spend time seeking out and engaging with other children. He delay in language development due to the transition to English keeps her from being able to communicate successfully, and the resulting behaviors appear immature for a child her chronological age. It will take time and require guidance and patience on the part of her caregivers to enable her to catch up to a more level playing field within her areas of development, but it is not an impossible task. The environment a child is surrounded by, as well as the toys and playthings they are exposed to, shape development in important ways. 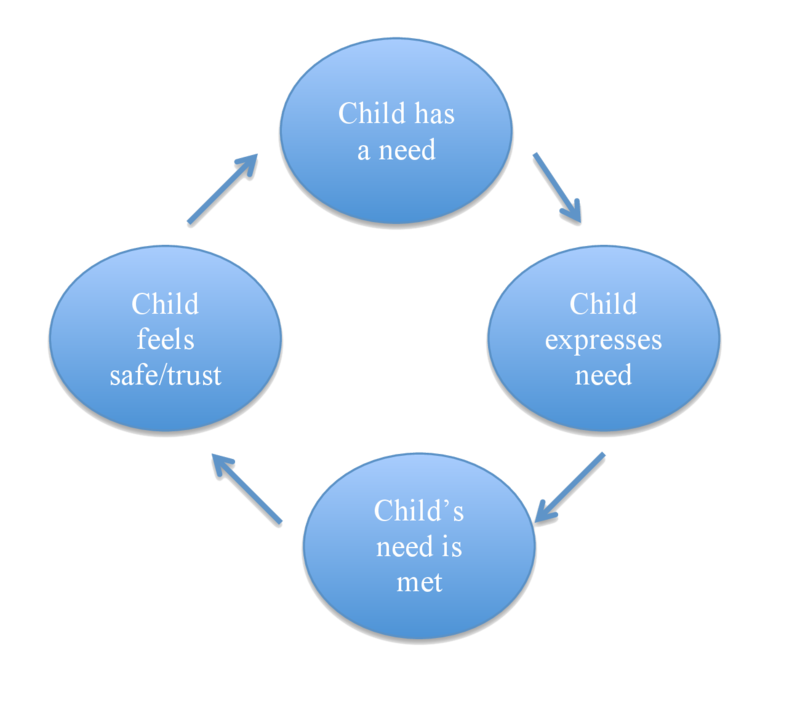 Acknowledging that there are areas in which child’s developmental age and chronological age might not match up based on their early life experiences, allows parents to view the child’s behavior with less frustration and in turn make decisions about how to handle their behavior appropriately. In fact there are ways in which it is even psychologically healthy, adoption counselors say, for children to repeat some of the stages of development with their new parents.